America’s birthday is full of dazzling hues, from iconic red, white, and blue bunting to the dazzling firework shows that cap the evening. And at backyard gatherings across the nation, one patriotic dessert—the sweet, simple flag cake—has itself become an icon. 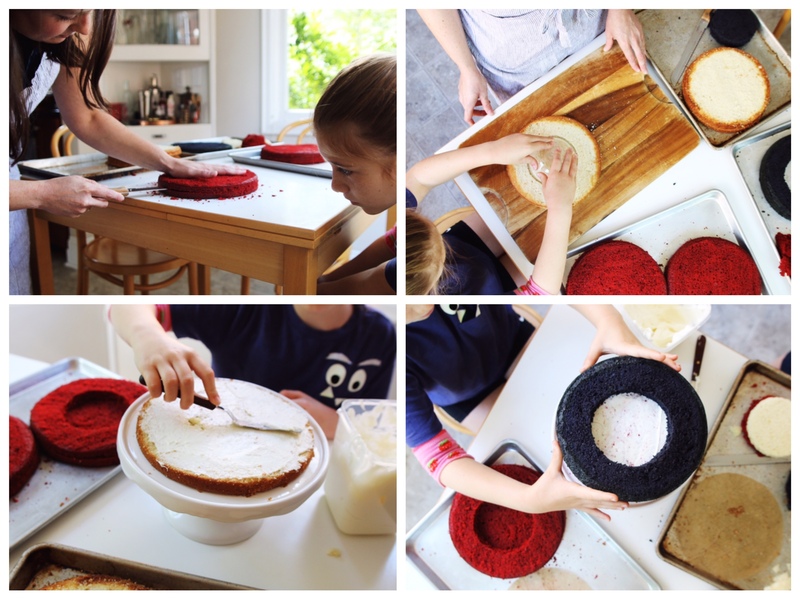 Fourth of July-themed cakes, traditionally iced with white buttercream and decorated with fresh summer berries to form those ruby-red stripes, are always a hit (and they’re easy for kids to help create). But this year, wow guests with a cake that delivers a 3-D flag in every slice. Although it takes a few steps to put it together, it’s well worth the effort. Each slice pops with the colors of the American flag—bright red stripes with a vivid blue corner. Cut into it, and enjoy the show.